three brothers, who have all passed away except a brother who lives at Billiluna. to paint. 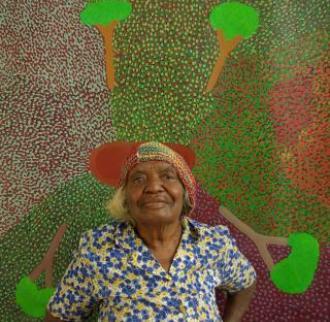 The Wangkajunga artists have been exhibiting since 1994.